ConceptDraw has 1493 vector stencils in the 49 libraries that helps you to start using software for designing Building Drawing. Cubicles and Work Surfaces library with 46 object. 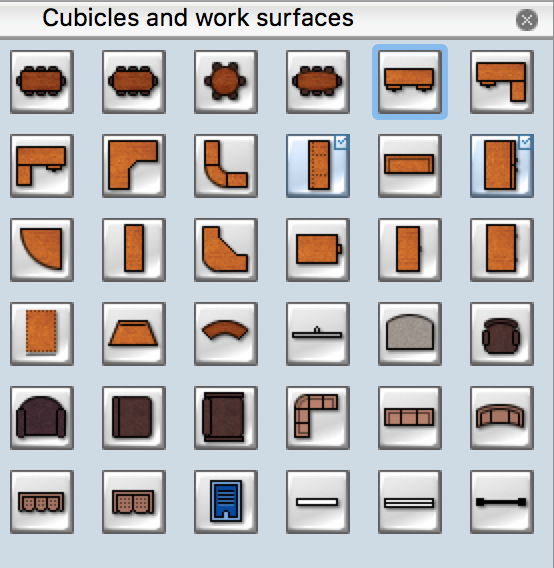 The vector stencils library "Cubicles and Work Surfaces" contains symbols of interior design elements, office furniture and equipment. Use it to develop the floor plans, and blueprints for facilities management, move management, office supply inventories, assets inventories, office space planning, design, furniture and equipment layout of school or training office. 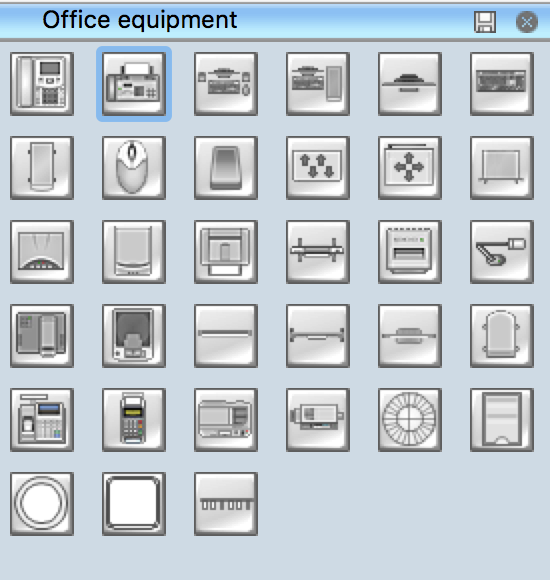 The vector stencils library "Office Equipment" contains 33 symbols of office equipment, electronics and accessories. Use it to draw the office furniture and equipment layout plans. 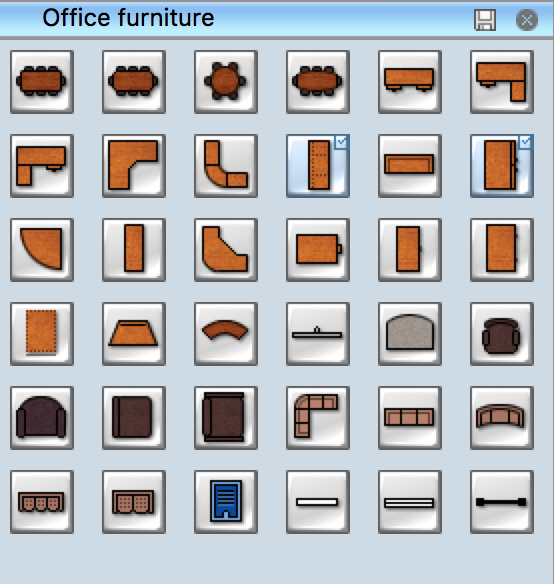 The vector stencils library "Office Furniture" contains 36 symbols of office furnishings and work surfaces. 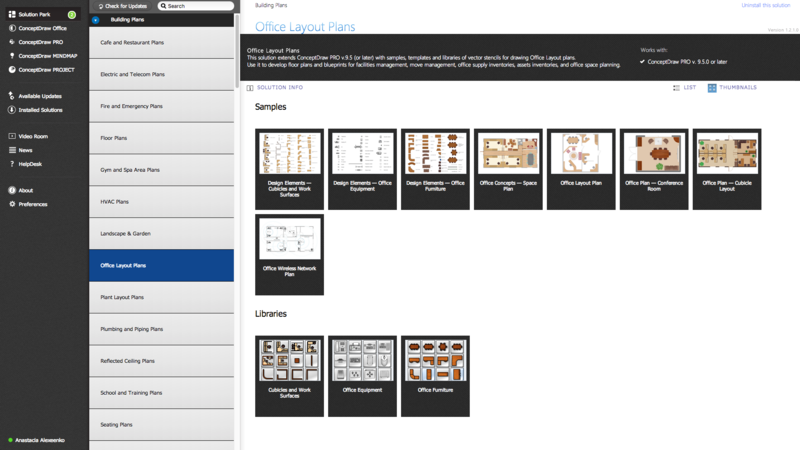 Use it to draw office floor plans, office suites, conference rooms, furniture arrangements and space layouts. Use ConceptDraw DIAGRAM diagramming and vector drawing software enhanced with Office Layout Plans solution to draw your own office layout plans.